Follow these simple steps to implement the AirTime monetization model on your personal Facebook profile. 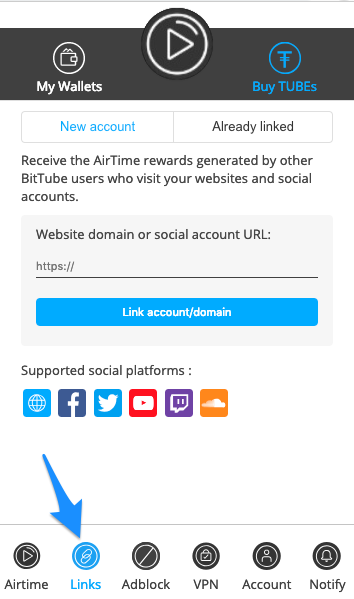 After successful linking you will be able to generate income from the visits of BitTube users on your facebook social feed. Step 1. Open the extension and navigate to "Links"
Step 2. Visit your social profile page and copy the URL from the address bar. Note: Make sure your Facebook settings allow other websites to link to your account. 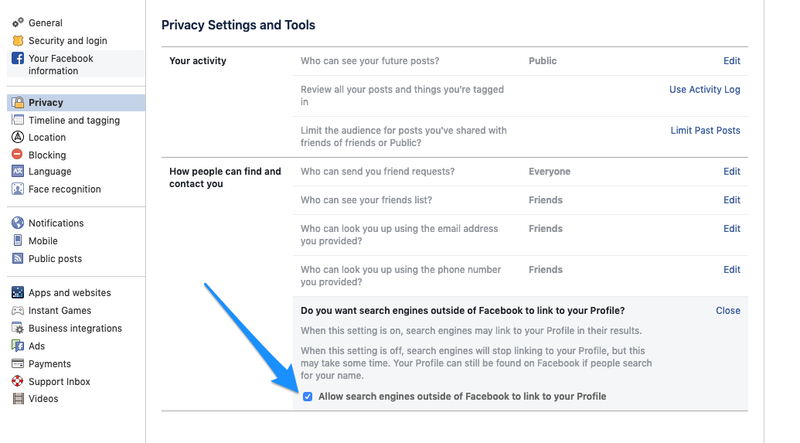 To do so go to Facebook settings > Privacy > "Do you want search engines outside of Facebook to link to your Profile?" and tick the box "Allow search engines outside of Facebook to link to your Profile"
Step 3. 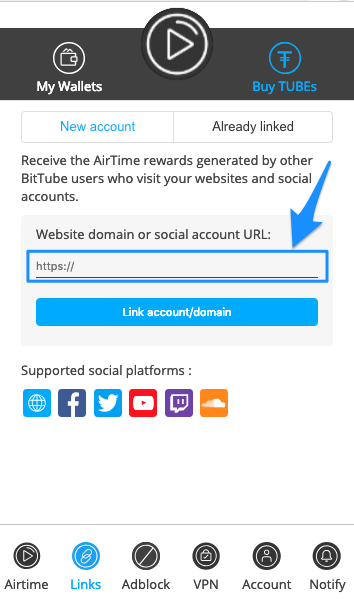 Paste the URL of your account and click the "Link account/domain" button. Step 4. 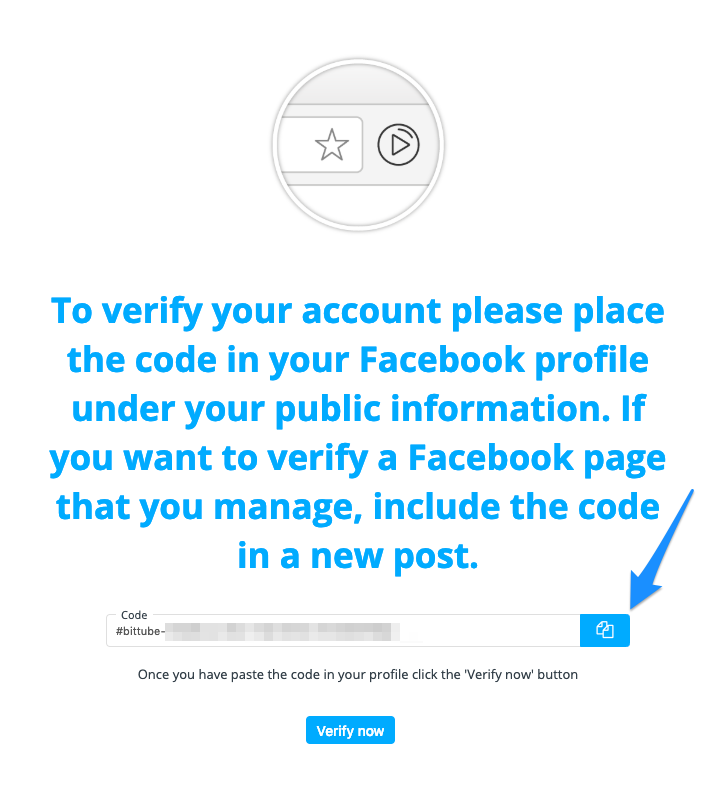 Copy the verification code from the verification page. Note: Keep this page open! Step 5. 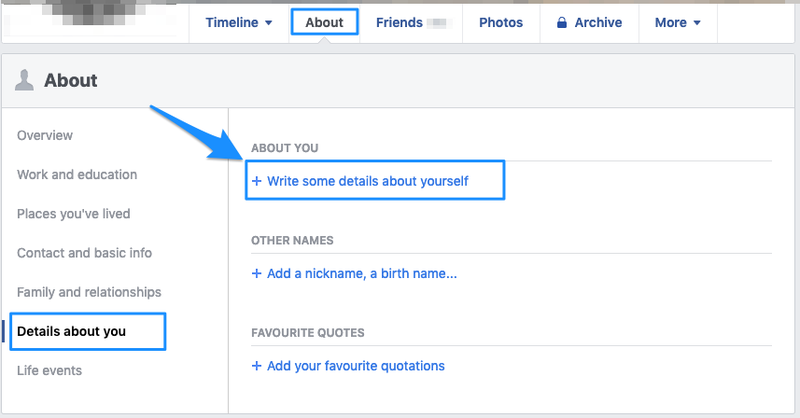 Paste the code in your "About" section of your Facebook profile. Step 6: Go to the verification page and click "Verify now" button. That’s it, you're good to go. We recommend that you download our resources and post the "support me" image with some nice words to your fellows. 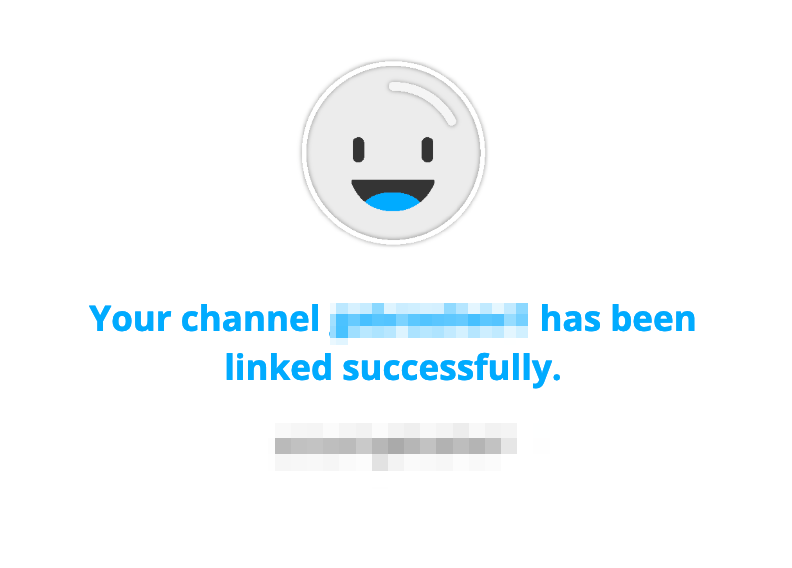 Note: After successful linking of your Facebook profile it is not required to keep the code in your "About" section.